Recently I walked through a homeless shelter where hundreds of women and children live- half of whom are victims of domestic violence. At this shelter in Omaha, Nebraska more than fifty women and children sleep on mats on the floor because all of the beds are taken. In the morning, buses come to pick the children up for school. They get the kids from the shelters first so other kids don’t know they live there. My 5-year-old daughter, Emma, came with me and kept asking questions. She thought it was a hotel. She thought it would be fun to live there. She wanted to stay. There was a lot to explain. Some of it would have to wait until she’s older. We came to the Open Door Mission that day to bring items for a baby shower that would benefit families living at or visiting the shelter. 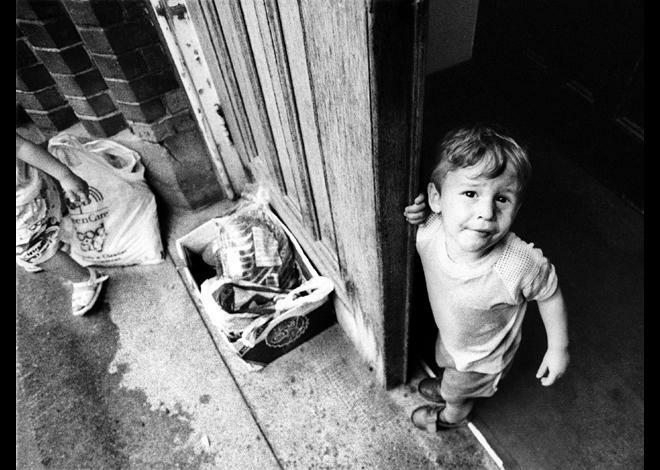 Children and babies…not typically the picture we envision when we think of people who are homeless. The sad reality is that the average age of a homeless person in the U.S. is 9-years-old. One of these children, an African-American boy not much older than Emma, held the door open for us and smiled the sweetest smile as we walked through his temporary home. I wondered what circumstances brought him there and where his life would lead. I smiled back and prayed a silent prayer that his life would be filled with hope and light and that he would share that light with others. I never learned his name, but I pray for him still. I pray for the baby I heard crying behind closed doors and the mother I heard softly singing to her. I pray for the little ones. I know the facts about homelessness, but it changed me to see it for myself. It changed me to see the children living it every day. ***To learn more about homeless shelters in your community that you could support, visit www.homelessshelterdirectory.org.